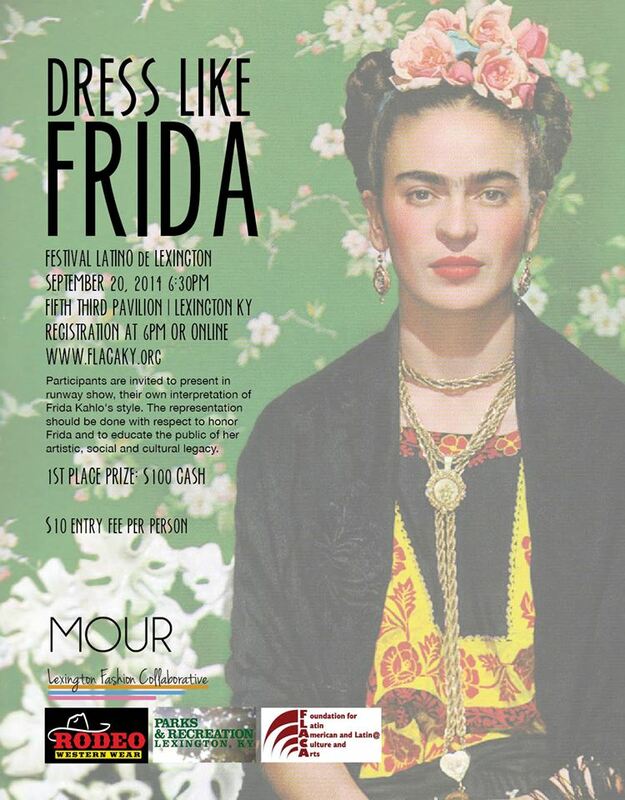 Participants are invited to present in a runway show, their own interpretation of Frida Kahlo’s style. The representation should be done with respect, We want to honor Frida’s style and to educate the general public about her artistic, social and cultural legacy. Every participant should fill out a participation form and pay $10 non-refundable entry fee. This can be done online or the day of the contest. 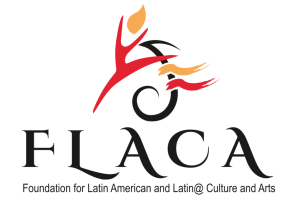 Registration will be available at Friday Latino Live on August 22 at the Pavilion from 6-11pm. -This is open to all ages. -Sponsors or/and direct associates and relatives are not eligible to participate in the contest (MOUR Magazine, Rodeo Western Clothing, FLACA and Parks and Recreations). 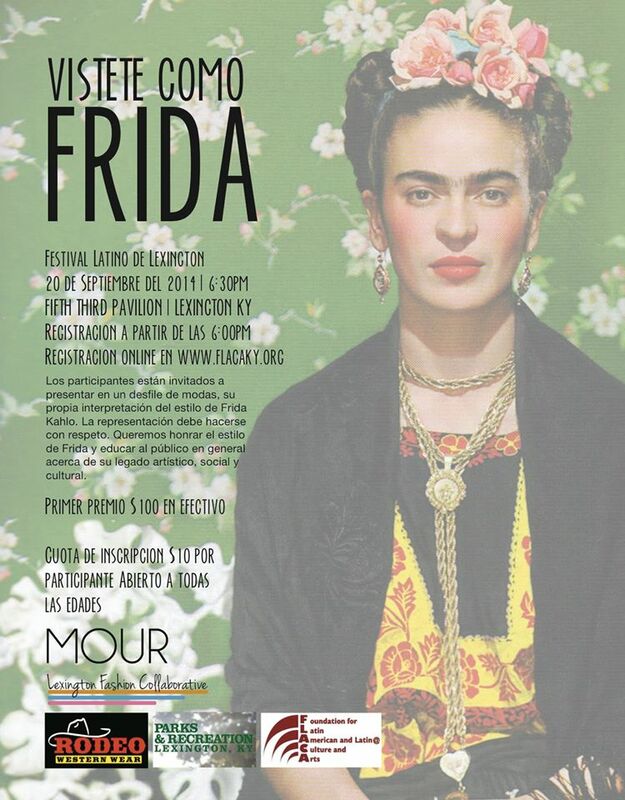 -Any inappropriate representation of Frida’s style will be automatically disqualified. -The organizers reserves the right to cancel the contest in the event of not enough entries. 2nd Place- $75 in cash a feature in MOUR Magazine. 3rd Place-$50 in cash and a feature in MOUR Magazine.